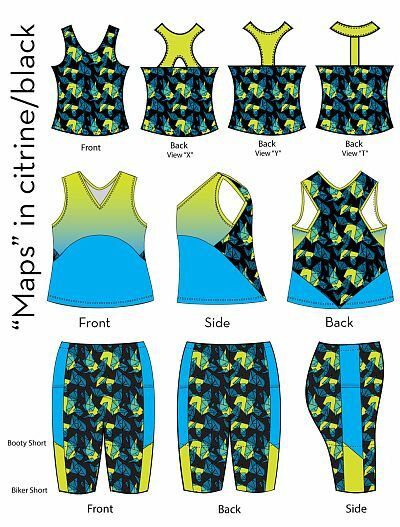 Introducing… FehrTrade x Laurie King fabric designs! As for the sewing patterns you can make, well, I’ve created specialised yardages for my XYT Workout Top, my VNA Top, and my Duathlon Shorts – I’m afraid there was no way I could fit my PB Jam Leggings into one yard (or the Duathlon capri length, either), so that’s something I’ll have to work on for the future. Right now, the designs are only available through Spoonflower, though I’m working on getting a UK distributor, too (UK shoppers, you can order one yard of Performance Piqué from Spoonflower and still be under HMRC’s customs exemptions value!). 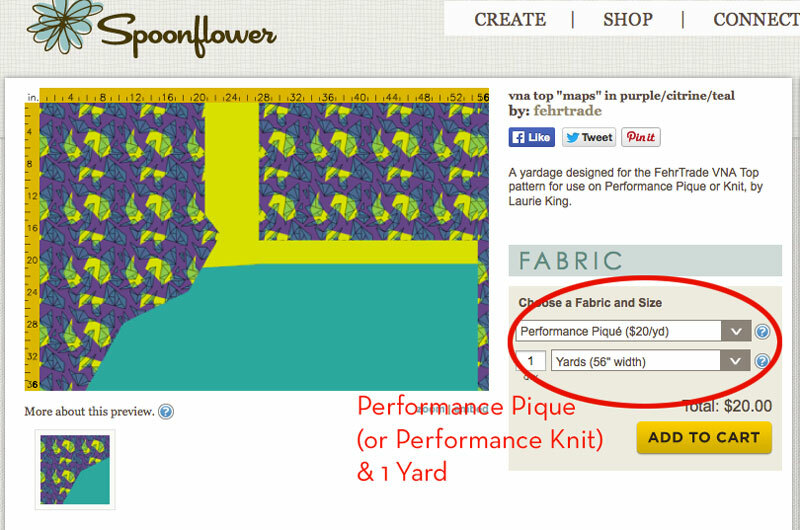 Having felt and worn both of Spoonflower’s performance fabrics, I recommend buying their “Performance Piqué” because it’s got more crosswise stretch, a nicer cottony handfeel, and I think it’s closer to what most people think exercise fabric should be. 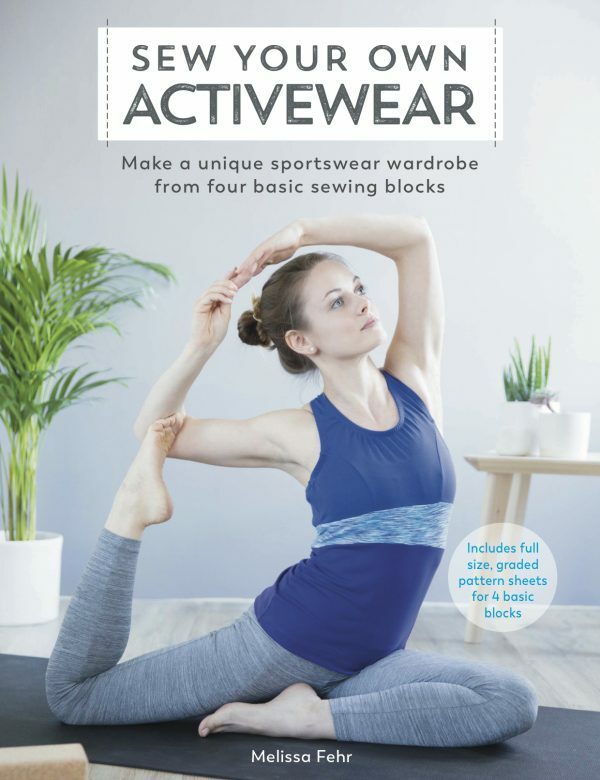 The only caveat here is that the recovery and dark colour saturation are not 100% perfect, so if you’re interested in a design with large swathes of black, you might want to choose their “Performance Knit” instead. 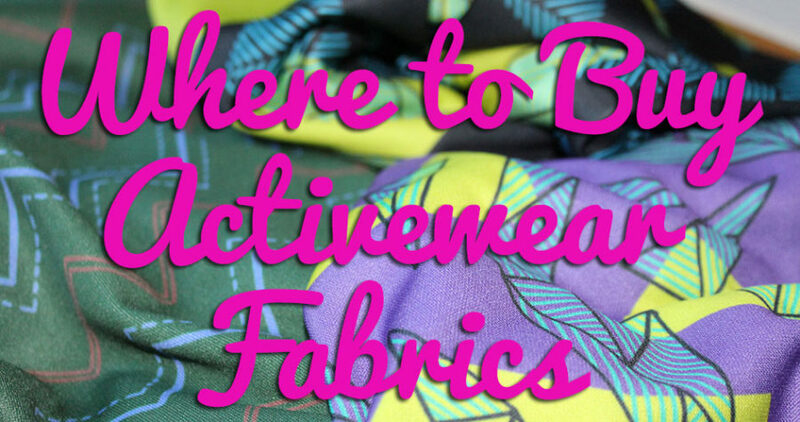 Neither have any lengthwise stretch, so you may need to add a bit of length if you’re used to four-way stretch fabrics. 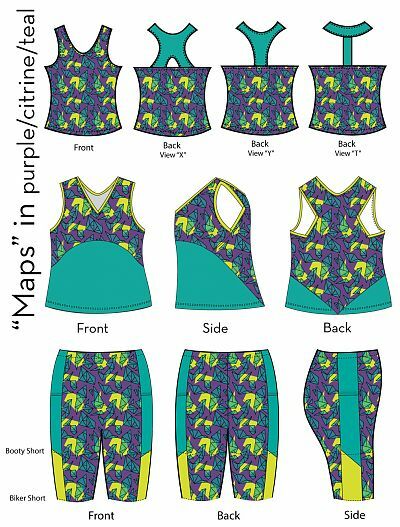 When you order the fabric, it just comes as one big yardage, and you’ll need to look at my guides below to see how the pattern pieces are intended to fit. 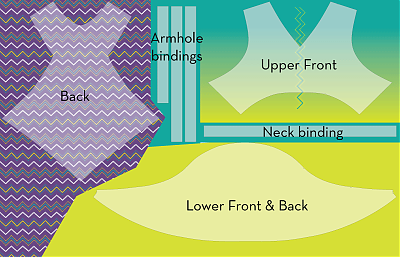 I highly recommend you cut your fabric in a single layer (ie: not on the fold) so that everything lines up in the zones properly. 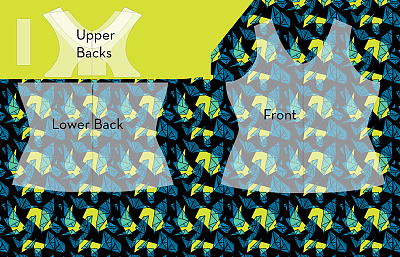 I’ve checked the layouts digitally against all sizes, XXS-XL and they should all fit, and I’ve given as much extra room as possible to allow for common alterations like FBAs and lengthening. 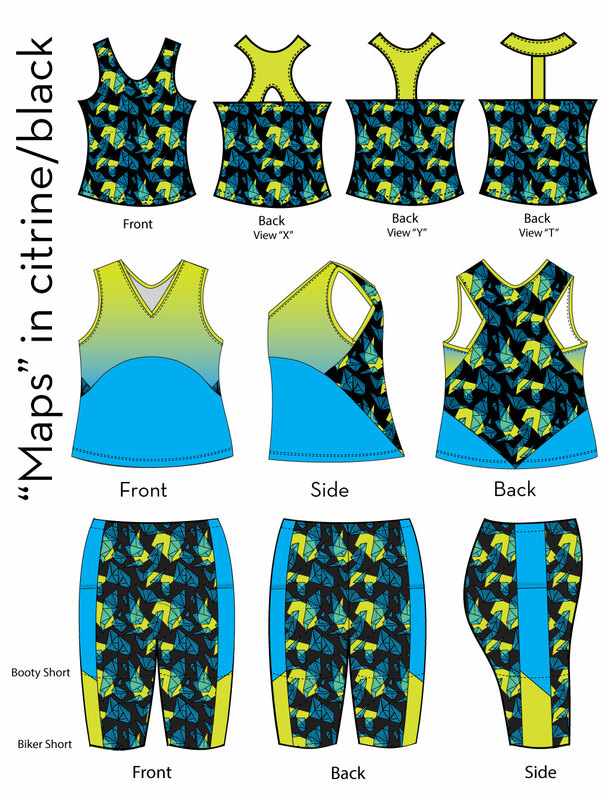 If you have altered your patterns to be significantly larger or longer, they may not fit, however, so buy at your own risk (in future, I may provide a tiled pdf just showing the outline of the zones which you can print out to double check first). 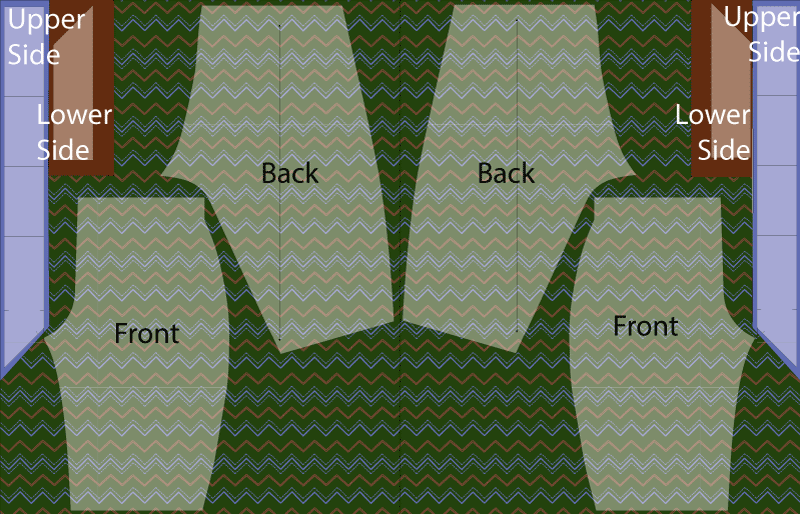 All the pattern piece outlines shown below are size XL. 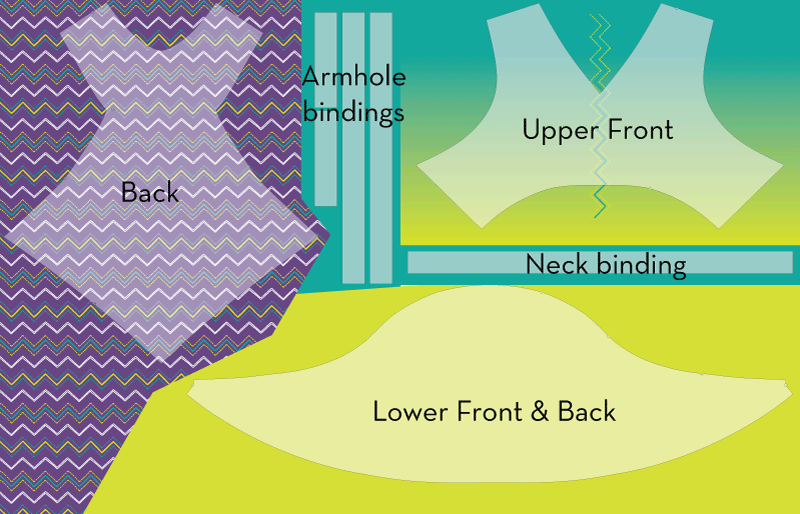 Since you’ll only be making one of the upper back views, they can all fit inside the upper left zone. 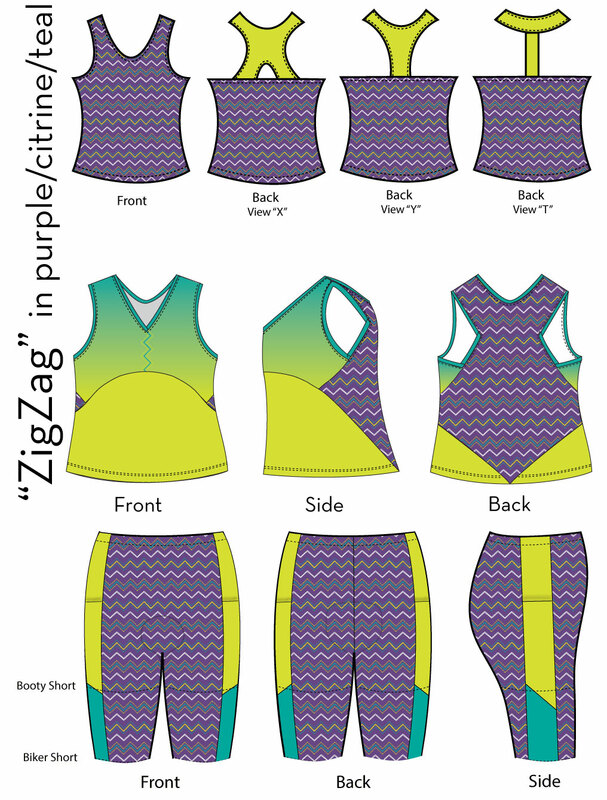 Note that you’ll need to cut the full front and full back, so either flip the pattern pieces, trace them to have the full width, or print a second copy and tape together. 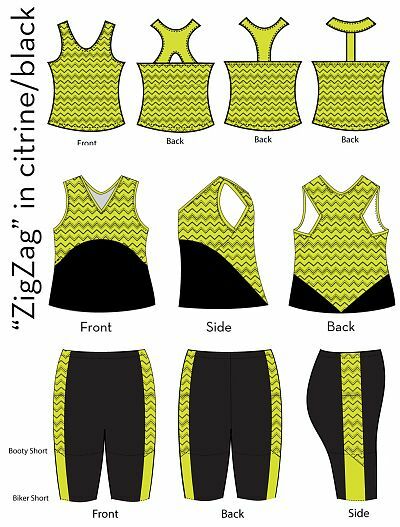 For two of the designs, there are vertical zigzags which should be centred along the Upper Front or Back pieces. 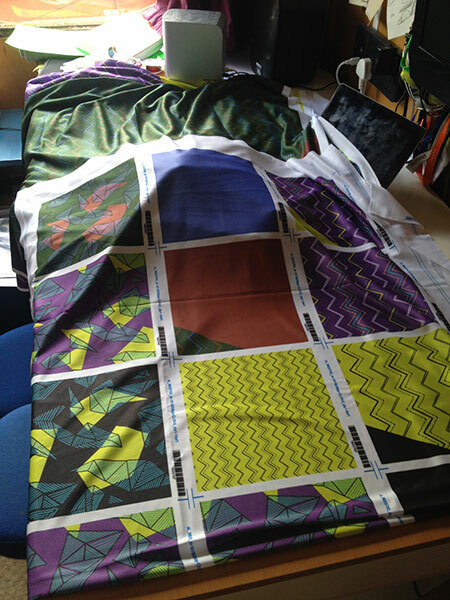 Again, you’ll need to cut the full width of the pieces rather than along the fold. Note that you’ll need to fit the Back piece upside down (as none of these are directional prints, that’s fine!) 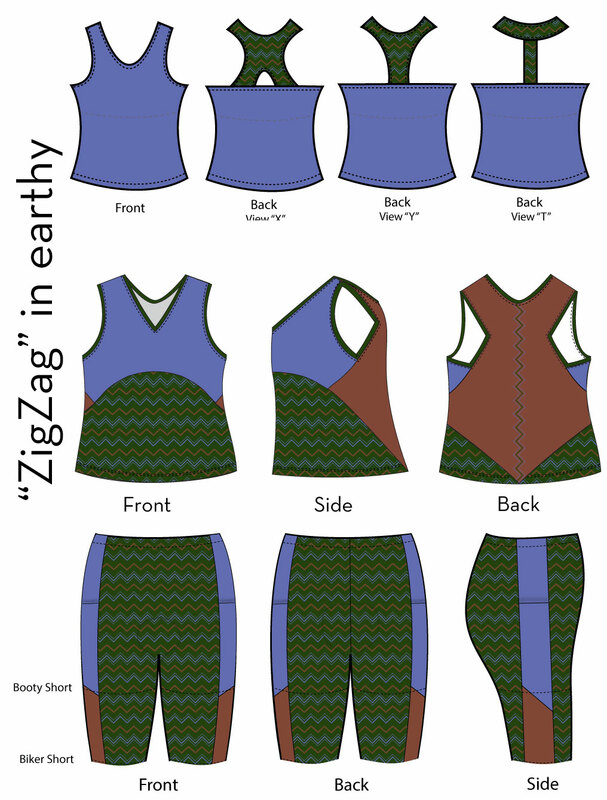 and that you’ll need to flip the pattern pieces over for everything on the right half as shown above. I’ll be posting more photos (and maybe even a video!) 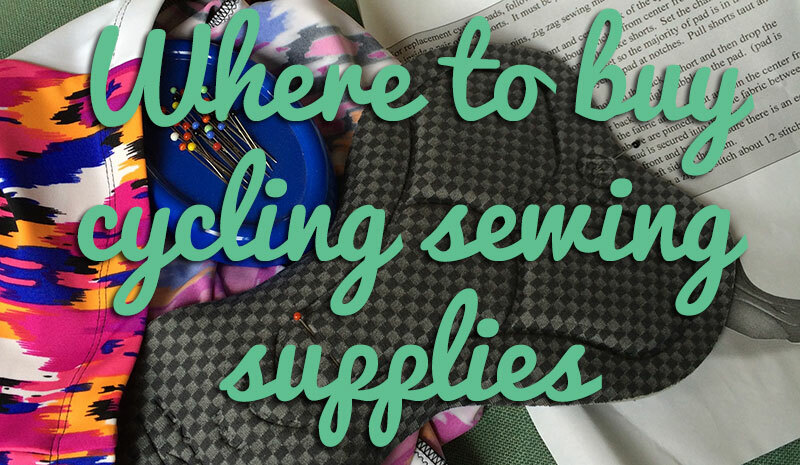 as I make up my own samples to help you out. 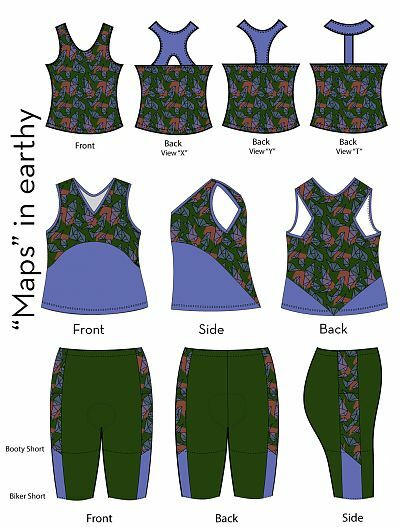 I’ve applied the prints and colours to the tech drawings for my patterns and put them together according to colourway and print family so you can see what they look like sewn up, but also worn together. Because the colours are all the same across the colour families, you could even decide to wear the earthy “Maps” Duathlon shorts with the earthy “Zigzag” XYT Top and it’d still look good! This means that for $40 (plus shipping), you can have a matching, wicking exercise outfit! It’s taken nearly a month for me to get my fabrics through from my order this time (It’s usually 2-3 weeks, with most of that as shipping time) and I’m so excited I wanted to share this with you right away! I’ll be making up my own samples over the next few weeks, so I’ll be sharing any tips and tracks as well as photos along the way. That being said, it’s possible that there might be some issues with the prints – they’ve all been checked and rechecked digitally, but I have only checked the fabrics themselves as swatches, apart from four I’ve chosen to get printed as full yardages. 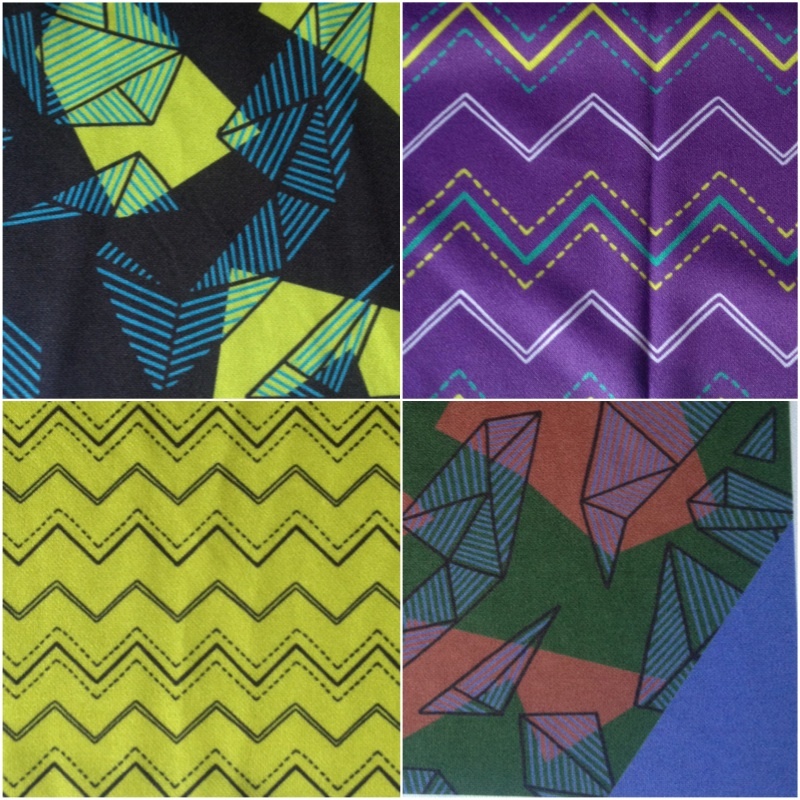 I’d love to buy them all, but I can’t afford to buy 36 yards x $20! If I do discover any issues, I can change and upload the designs right away, but this won’t help you if you’ve already bought. So if you want to be extra-extra careful, wait a few weeks for me to iron out any unforeseen issues. Or if you’re too excited like me, just go shopping!! Also, if anyone wants to buy these designs ready-made into sportwear, I do sew custom work, so get in touch! 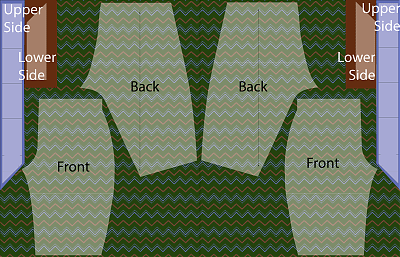 Separator image Posted in Inspiration and tagged with duathlon-shorts, fehr-trade-patterns, mflk, VNA-Top, xyt-workout-top.